Activision CEO Worried NextBox, PS4 May Have "Slow Start"
Bobby Kotik noted that "uncertainties" about Microsoft and Sony's upcoming consoles could doom them to follow the Wii U's disappointing sales. The Wii U, in its rush to be the "first" next-gen console, forgot to actually allocate some dollars to its marketing team. The console has suffered some pretty poor sales so far, which can be partly blamed on the fact that many consumers apparently don't even realize it's different from the Wii. Even Nintendo admitted that it didn't try hard enough. Activision head honcho Bobby "The Franchise" Kotik is worried that "uncertainties" about Microsoft and Sony's upcoming consoles may cause them to mimic Nintendo's sputter, rather than smash, into the next console generation. "There are still many unknown factors such as pricing, launch dates and quantities, the level of first-party support and, importantly, consumer purchase intent in a world where consoles are no longer just competing with each other, but also with new platforms, such as smartphones and tablets," Kotick said during an Activision earning's call. Sony did not reveal the pricing of its new console, or show people what it actually looks like, at its PS4 reveal event, and Microsoft has been extremely tight-lipped on its own effort, refusing to confirm or deny even the wildest of rumors. More information on the next-generation Xbox should arrive on May 21. Both consoles are reportedly due out sometime this holiday season. 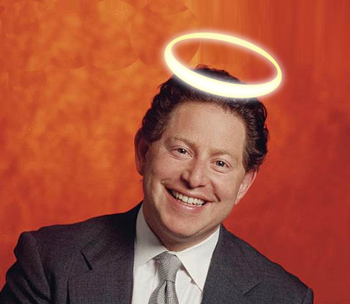 "We continue to face the uncertainties of the console transition" Kotick said during the call. He noted that Nintendo's Wii U has had a "very slow" start. Activision currently relies on big-name multi-platform franchises such as Call of Duty for the majority of its profits. Kotik's warnings could be a sign that the company will look to next-gen with a 'wait-and-see' approach, while instead focusing on the current generation of consoles for a little while longer.